Thanksgiving is just a few days away! We’ve begun prepping for the feast and writing grocery lists, planning table settings and getting the house in order. It’s just such a cozy holiday. The Thanksgiving meal can often take a few hours: You take your first serving, talk, catch up with friends, go back for seconds, talk some more, do a little stretching, watch a bit of football (or make your case to turn on the Hallmark Christmas movies instead…), dig into the desserts, try all the pies, etc.. Anyone relate? 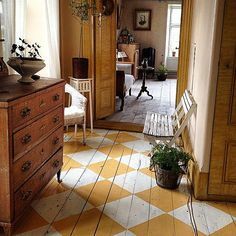 In the midst of the long meal, it can be nice to have a bit of a distraction! 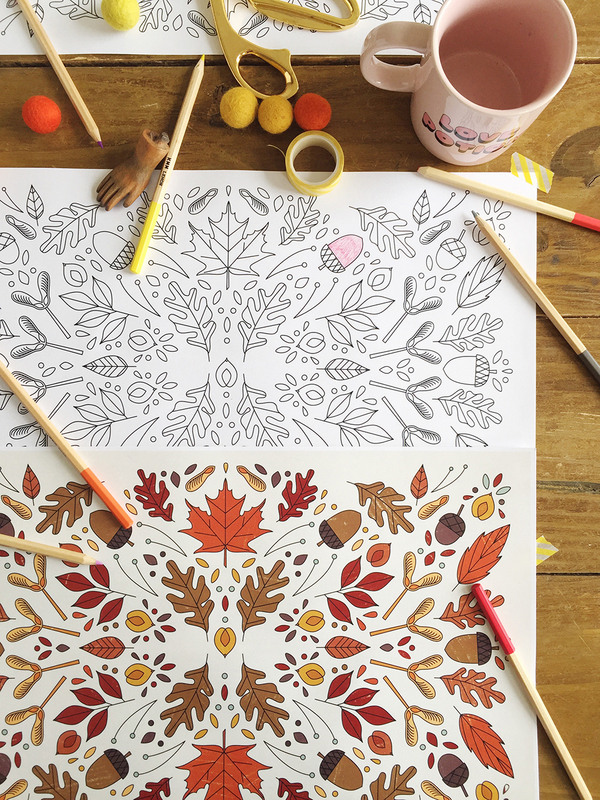 So we made some printable coloring Thanksgiving placemats for you to enjoy while you feast. These are a playful and inexpensive addition to your table setting that are great for adults and kids alike. Just think of those trips to Macaroni Grill. Common! 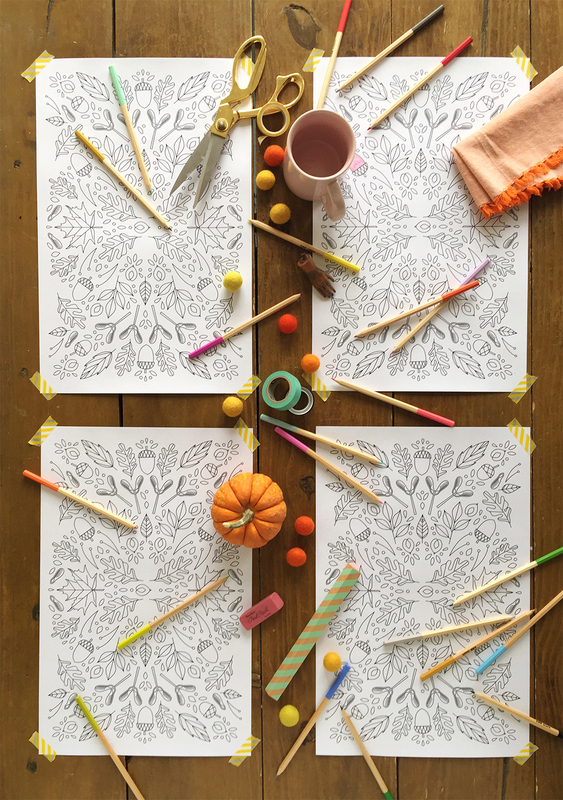 We ALL color the paper tablecloths, no?! 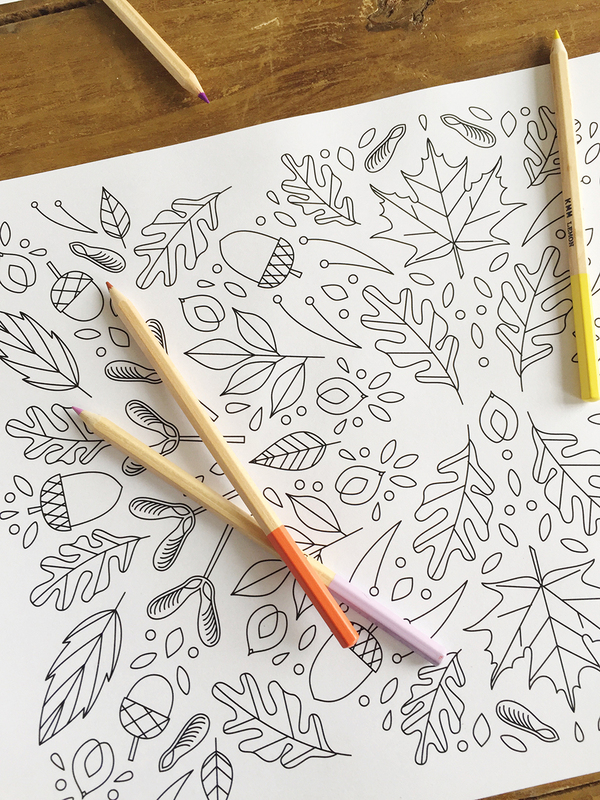 Coloring is the perfect activity to do while still being able to participate in all the conversations and relieve some stress at the same time. 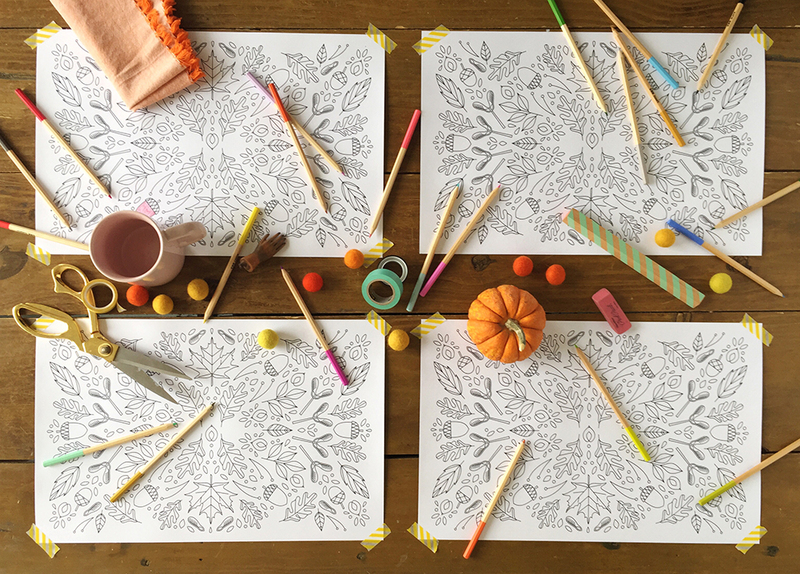 Print them out and set them at your table with a small bundle of crayons, markers, of colored pencils. 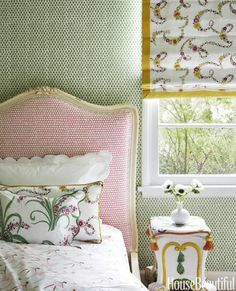 So sweet and simple! 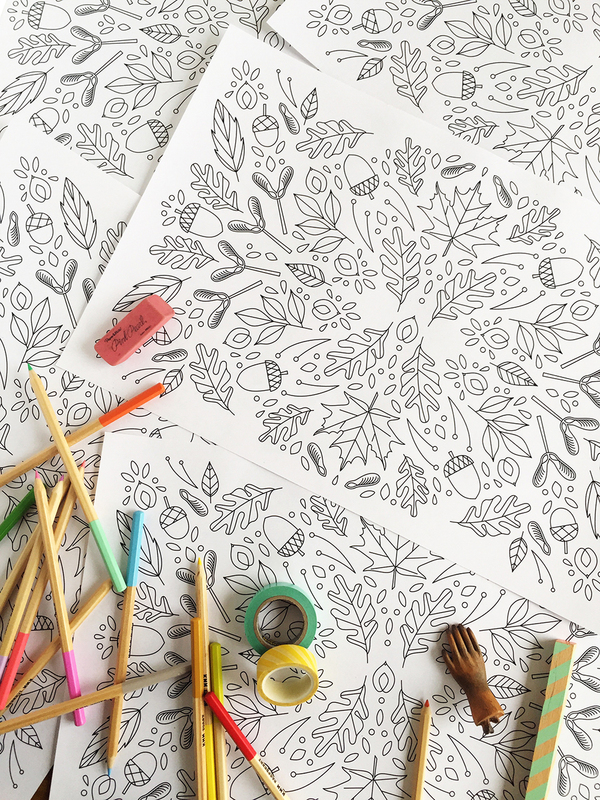 Print off the free printable coloring page placemat. 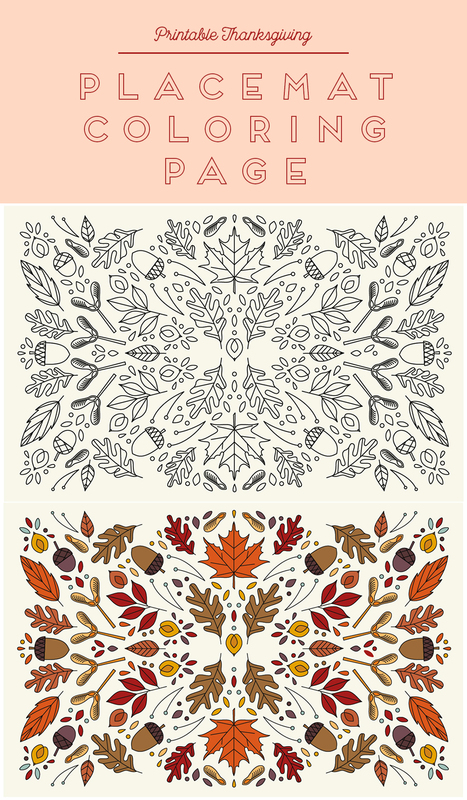 The page also comes with colors if you’d prefer to print it off for a more decorated look. It acts as a coloring guide if you need some direction. We printed ours on 11×17″ cardstock at the print shop, but you could also buy a ream of paper yourself (here) and print them on your home printer too.